"Hymns founded on Various Texts in the Holy Scriptures. By the late Reverend Philip Doddridge, D.D. Published from the Author's Manuscript by Job Orton . . . Salop. Printed by J. Eddowes and J. Cotton, &c.
"There may perhaps be some improprieties, owing to my not being able to read the author's manuscript in particular places, and being obliged, without a poetical genius, to supply those deficiencies, whereby the beauty of the stanza may be greatly defaced, though the sense is preserved." Scriptural Hymns by the Rev. Philip Doddridge, D.D. New and corrected edition containing many hymns never before printed. Edited from the Original Documents by the Author's great-grandson, John Doddridge Humphreys, Esq. Lond. Darton & Clark, 1839. This work contains 22 additional hymns. The text differs in many instances from Orton's, but these changes have not come into common use. In addition to the manuscript used by Orton and J. D. Humphreys, another containing 100 hymns (five of which are not in any edition of the Hymns), all in the author's handwriting, and most of them dated, is referred to in this Dictionary as the "D. Manuscripts." It is the property of Mr. W. S. Booker and family. A manuscript, not in Doddridge's handwriting, of 77 "Hymns by P. Doddridge, Mar. 16, 1739/1740," is in the possession of Mr. W. T. Brooke. The existence of these manuscripts is accounted for from the fact that Doddridge's hymns were freely circulated in manuscript during his lifetime. It is from his correspondence with R. Blair (q.v.) that the few compositions traceable to him in the Scottish Trans. & Paraphrases were derived. 1. Behold the gloomy vale. Death anticipated. 2. Behold the Great Physician stands. Christ the Physician. 3. Captives of Israel, hear. Spiritual Deliverance. 4. Eternal God, our wondering souls. Enoch's Piety and Translation. 5. Eternal Source of life and thought. Subjection to the Father. G. Exalted Prince of Life, we own. Christ the Prince and Saviour. 7. Father Divine, the Saviour cried. Christ's Submission to the Father. 8. Father Divine, Thy piercing eye. Secret Prayer. 9. Father of mercies, send Thy grace. Sympathy. The Good Samaritan. 10. Go, saith the Lord, proclaim my grace. Forgiveness. 11. God of Eternity, from Thee. Redeeming the Time. 12. God of my life, through all its [my] days. Praising God continually. 13. God. of salvation, we adore. Praise to God for Redemption. 14. Great Father of mankind. Gentiles brought into the Church. 15. Great God, we sing that mighty hand. The New Tear. 16. Great Leader of Thine Israel's host. During Persecution. 17. Great Lord of angels, we adore. Ordination. 18. Great Spirit of immortal love. Purity of Heart desired. 19. Great Teacher of Thy Church, we own. The Divine Precepts. 20. Hail, everlasting Prince of Peace. Sympathy. 21. Hail to the Prince of life and peace. Praise to Christ. 22. Hear, gracious [Saviour] Sovereign, from Thy throne. The Blessings of the Holy Spirit desired. 23. How gentle God's commands. God's Care of His Own. 24. How rich Thy favours, God of grace. God and His Living Temple. 25. How swift the torrent flows [rolls]. Our Fathers, where are they? 26. Jesus the Lord, our souls adore. Christ the Forerunner. 27. Jesus, we own Thy Sovereign hand. Christ to be fully known hereafter. 28. Loud let the tuneful trumpet sound. Gospel Jubilee. 29. My gracious Lord, I own Thy right. Life in Jesus. 30. My [Dear] Saviour, I am [we are] Thine. Joined to Christ through the Spirit. 31. My soul, with all thy waking powers. The Choice of Moses. 32. Now let our voices join. Singing in the ways of God. 33. 0 injured Majesty of heaven. Lent. 34. 0 Zion, tune thy voice. Glory of the Church of Christ. 35. Peace, 'tis the Lord Jehovah's hand. Resignation. 36. Praise the Lord of boundless might. The Father of Lights. 37. Praise to Thy Name, Eternal God. Growth in Grace desired. 38. Remark, my soul, the narrow bounds. The New Year. 39. Repent, the Voice celestial cries. Lent. 40. Return, my roving heart, return. Heart communing. 41. Salvation, O melodious sound. God our Salvation. 42. Saviour of men, and Lord of love. Ministry and Death of Christ. 43. Searcher of hearts, before Thy face. Peter to Simon Magus. 44. Shepherd of Israel, Thou dost keep. Induction or Settlement of a Minister. 45. Shine forth, eternal Source of light. Knowledge of God desired. 46. Shine on our souls, eternal God. Sunday. 47. Sing, ye redeemed of the Lord. Joy on the Homeward Way. 48. Sovereign of life, before Thine eye. Life and Death in God's hands. 49. The darkened sky, how thick it lours. Sorrow followed by Joy. 50. The day approacheth, O my soul. Judgment anticipated. 51. The King of heaven His table spreads. The Gospel Feast. 52. The promises I sing. The unchanging promises of God. 53. The swift-declining day. Walk in the Light. 54. These mortal joys, how soon they fade. Treasures, Perishable and Eternal. 55. Thy judgments cry aloud. Retributive Providence. 56. Thy presence, Everlasting God. Omnipresence of the Father. 57. 'Tis mine, the covenant of His grace. Death anticipated. 58. To Thee, my God; my days are known. Life under the eye of God. 59. Tomorrow, Lord, is Thine. Uncertainty of Life. 60. Triumphant Lord, Thy goodness reigns. The Divine Goodness. 61. Triumphant Zion, lift thy head. The Church Purified and Guarded. 62. Unite my roving thoughts, unite. Peace. 63. What mysteries, Lord, in Thee combine. Christ, the First and Last. 64. While on the verge of life I stand. Death anticipated with Joy. 65. With ecstacy of Joy. Christ the Living Stone. 66. Ye golden lamps of heaven, farewell. Heaven opening. 67. Ye hearts with youthful vigour warm. The Young encouraged. 68. Ye humble souls, that seek the Lord. Easter. 69. Ye sons of men, with joy record. Praise of the Works of God. In Dr. Hatfield's Church HymnBook, N. Y., 1872, Nos. 9, 12, 14, 15, 21, 23, 25, 29, 30, 32, 34, 35, 39, 40, 44, 47, 51, 61, 64, 65, 67, 69, 70, as above, are dated 1740. What authority there may be for this date we cannot say, these hymns not being in any “D. MSS." with which we are acquainted, and no dates are given in the Hymns, &c, 1755. Some later American editors have copied this date from Dr. Hatfield. Doddridge's hymns are largely used by Unitarians both in Great Britain and America. As might be expected, the Congregationalists also draw freely from his stores. The Baptists come next. In the hymnals of the Church of England the choicest, only are in use. Taken together, over one-third of his hymns are in common usage at the present time. 1. My God, how cheerful is the sound. All in Christ. 2. My Saviour, let me hear Thy voice. Pardon desired. 3. My soul, triumphant in the Lord. Divine Guidance assured. 4. No «iore, ye wise, your wisdom boast. Glorying in God alone. From Hymns, No. 128. 5. Now be that Sacrifice survey'd. Christ our Sacrifice. 6. 0 Israel, blest beyond compare. Happiness of God's Israel. 7. Our fathers, where are they? Considering the Past. From Hymns, No. 164. 8. Praise to the Lord on high. Missions. 9. Praise to the radiant Source of bliss. Praise for Divine Guidance. 10. Return, my soul, and seek thy rest. Rest in Jesus. 11. Salvation doth to God belong. National Thanksgiving. 12. Sovereign of Life, I own Thy hand. On Recovery from Sickness. 13. The sepulchres, how thick they stand. Burial. 14. There is a Shepherd kind and strong. The Good Shepherd. From Hymns, No. 216. 15. Wait on the Lord, ye heirs of hope. Waiting on God. 16. We bless the eternal Source of light. Christ's care of the Church. 17. With transport, Lord, our souls proclaim. Immutability of Christ. 18. Ye mourning saints, whose streaming tears. Death and Burial. These all appeared in Dr. Doddridge's Hymns, 1755. 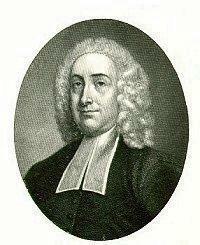 Philip Doddridge DD (26 June 1702 – 26 October 1751) was an English Nonconformist leader, educator, and hymnwriter.